Is your tree still looking a little bare? 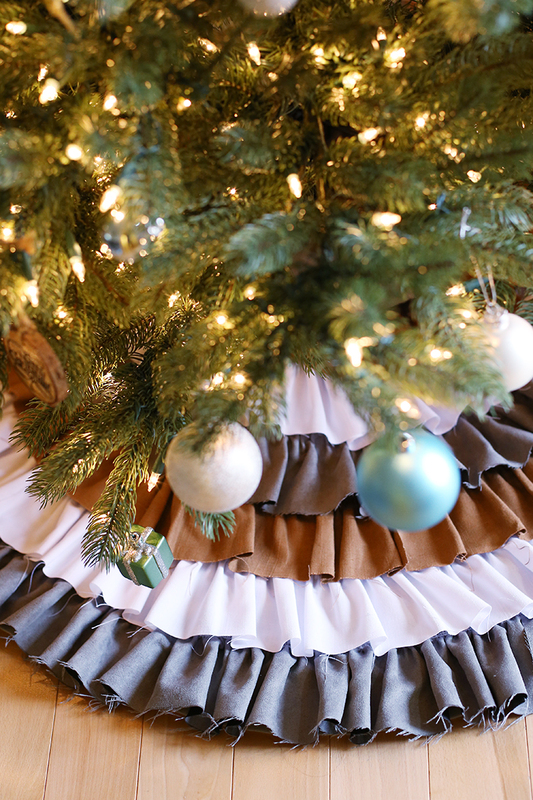 Today I have a remedy for you, and am sharing how to make an easy DIY No Sew Ruffled Tree Skirt! 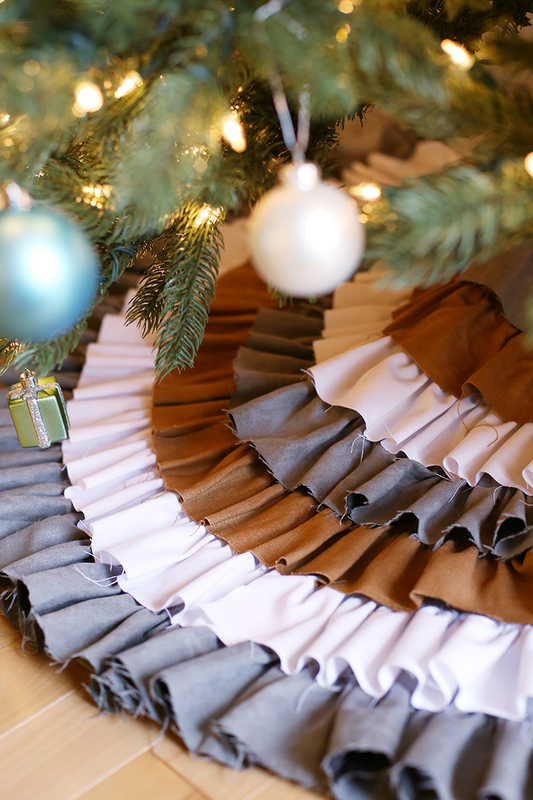 Grab a few of your favorite fabrics, and you’ll have a completely custom and unique tree skirt! 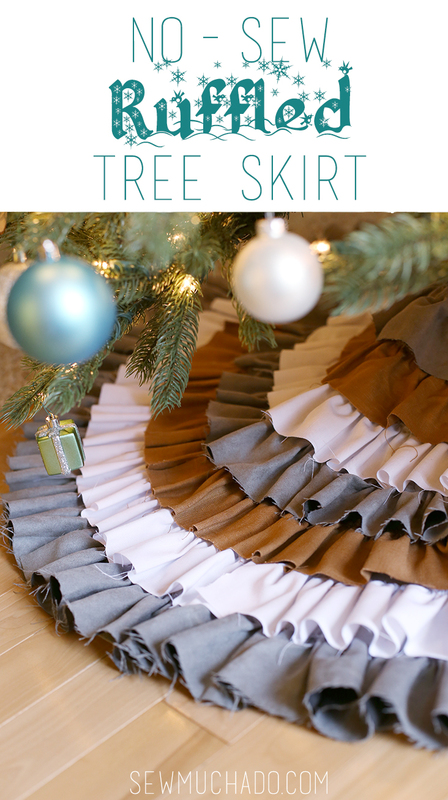 I wanted to replace my DIY Ruched Christmas Tree Skirt this year, and this was just what I needed! 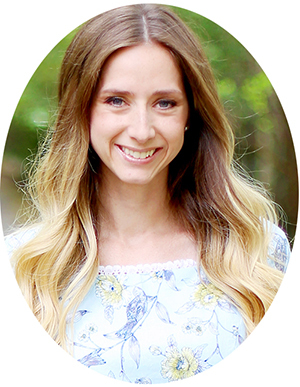 By using woven fabrics, the raw edges of the fabric will naturally fray, creating a lovely shabby chic look! 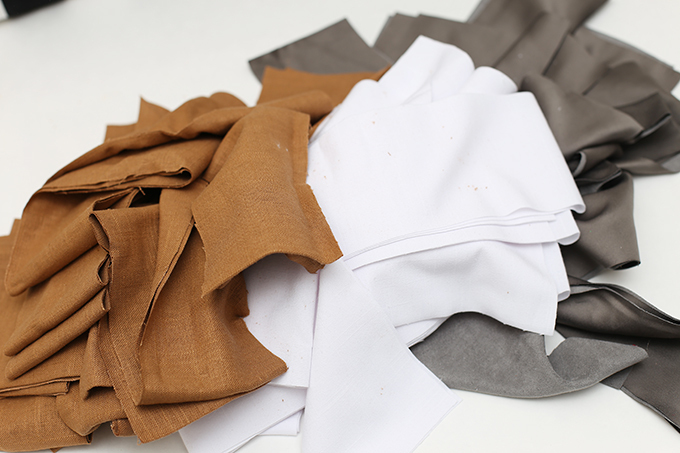 As an alternative, you could also use non-woven fabrics (felt, knit, etc) for non-frayed edges. 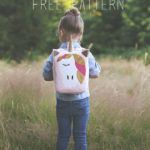 Another alternative is to sub the glue gun for your sewing machine if you’d prefer, and also finish the raw edges with your sewing machine/serger for a cleaner look. 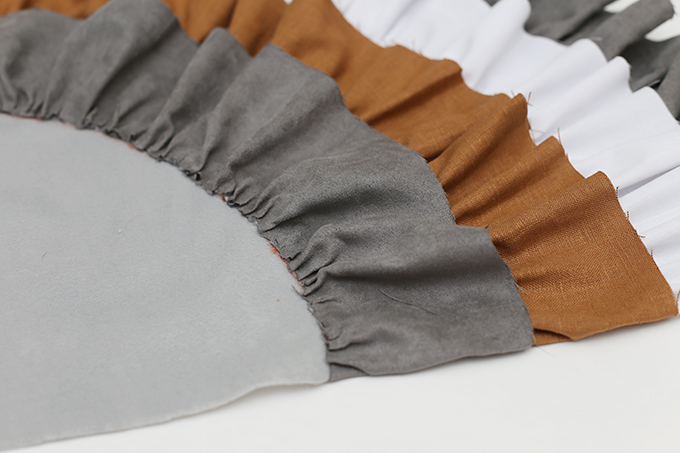 I loved the look of the grey faux suede with the white and tan linen. 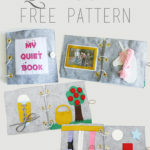 Great textures can really make a project and bring warmth into your Christmas decor! 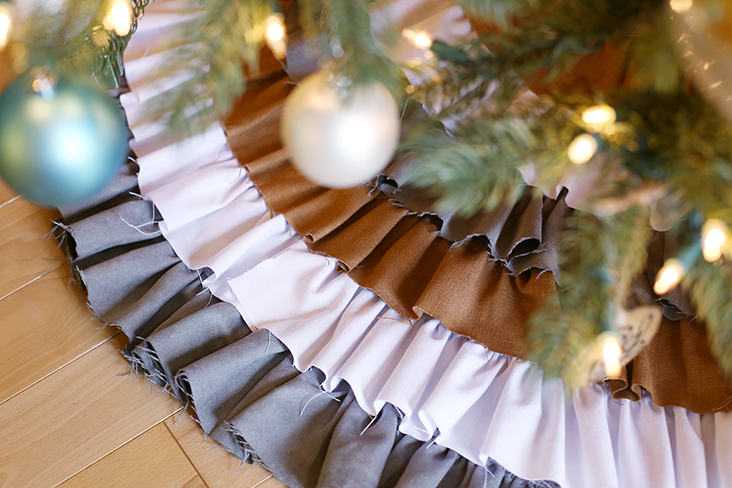 To make tree skirt base, fold felt in half, and then half again in opposite direction as illustrated. 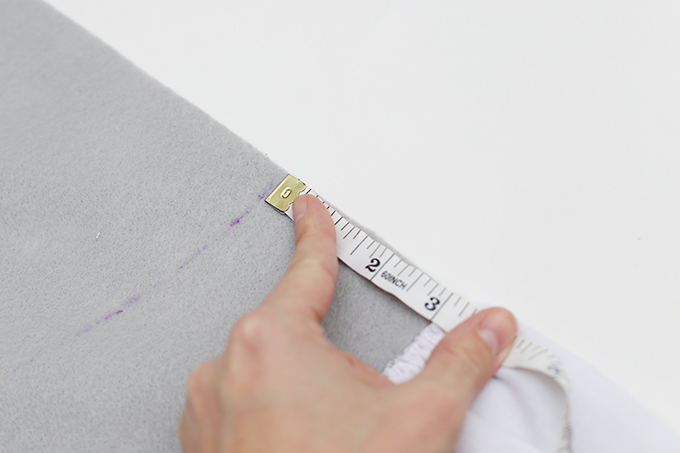 Use measuring tape to measure and mark 24” from corner point (where folds meet) along each folded edge, and 24” from corner point toward center of fabric, marking every few inches. 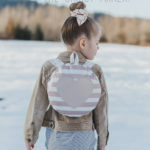 Join marks to form quarter circle and cut along curved line. 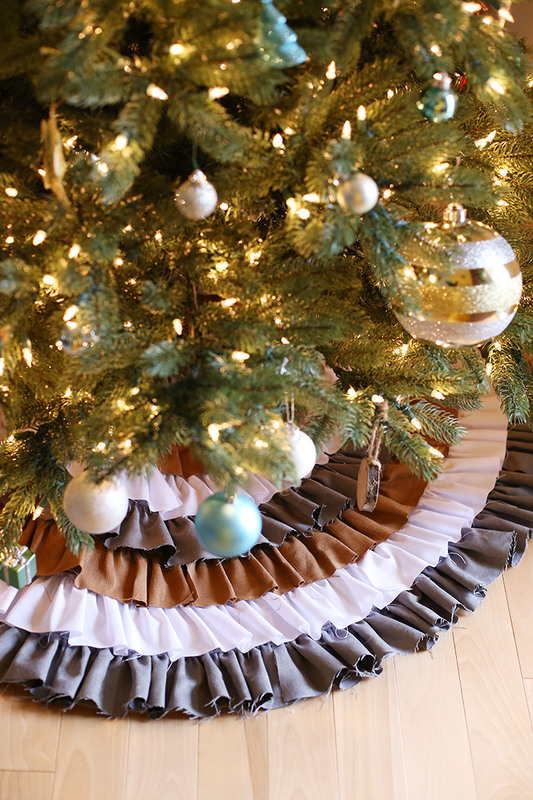 To make opening for tree skirt, repeat steps above, measuring 3” from corner point (to form 6” finished opening). 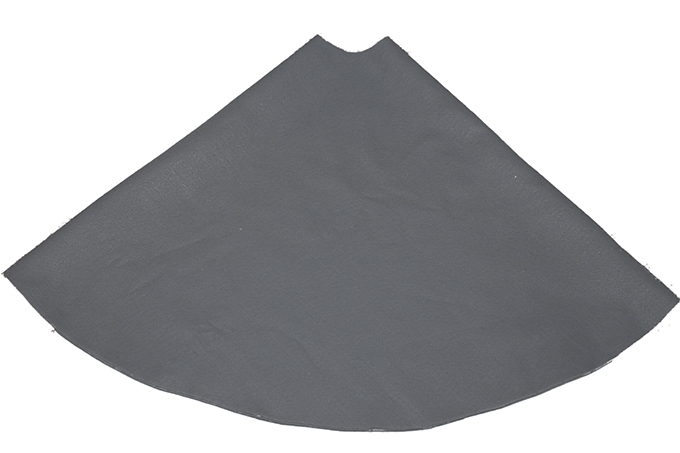 With felt still folded, cut along one fold to form slit. Cut 4” wide strips of fabric from each fabric, removing selvedges. 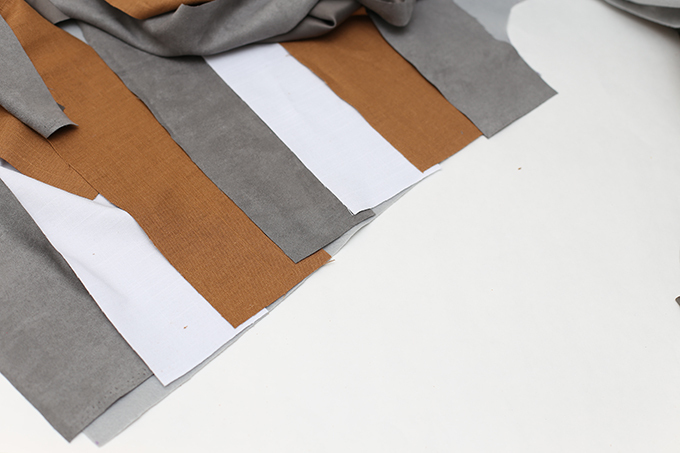 Lay strips out on felt to determine desired spacing. 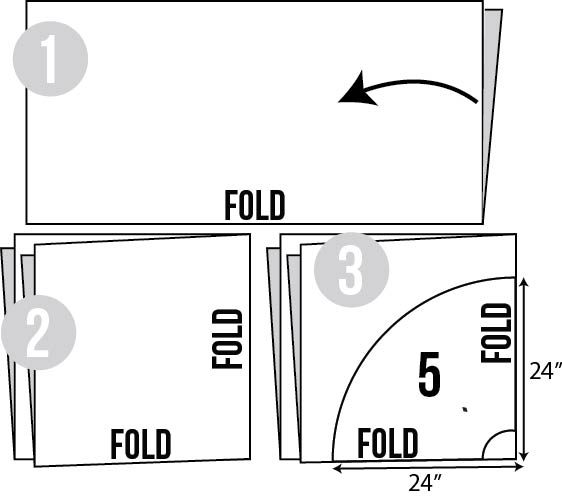 Remember that strips will need to overlap each strip below. 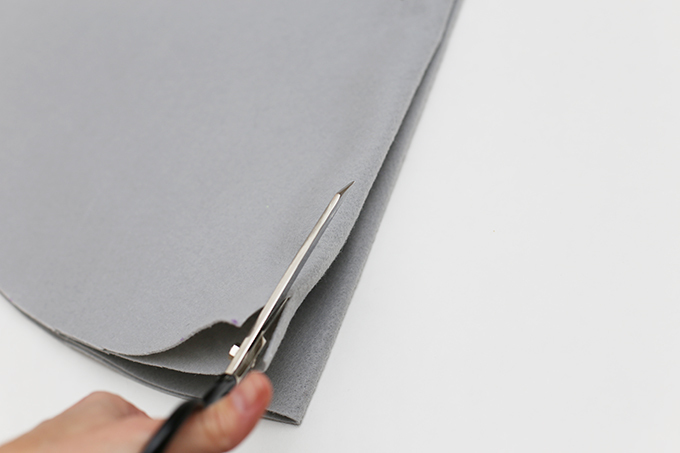 Heat glue gun and place a 2” line of glue at one slit edge, 3-3 ½” from outer curved edge. 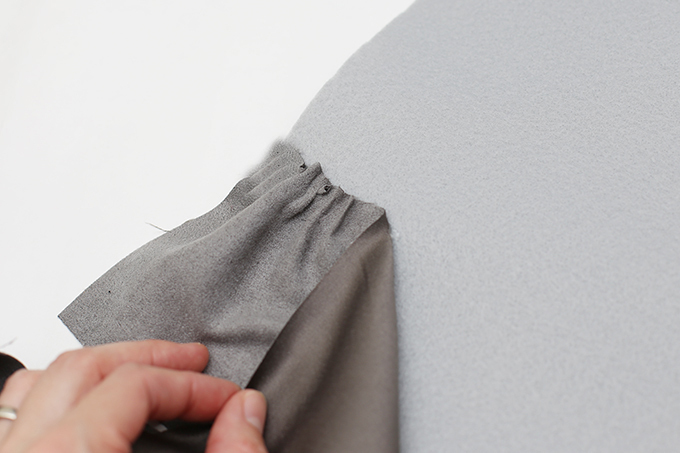 Press top edge of one fabric strip into glue, then scrunch with fingers to form ruffled look (let ½” of strip overhang at slit). Be careful not to burn your fingers! 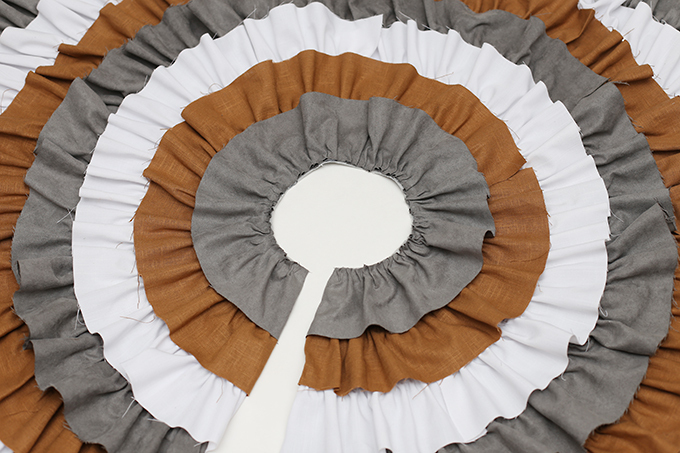 It’s helpful to place the glue ¼” below where the top of the strip will be to allow it to expand when pressed. 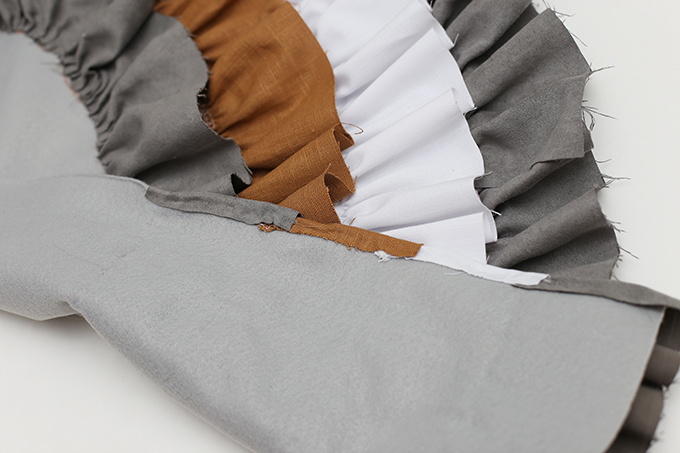 Continue to glue and scrunch fabric strips, working in 2-4” sections. 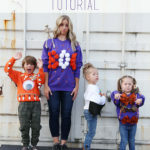 Repeat for remaining rows (see tip below). 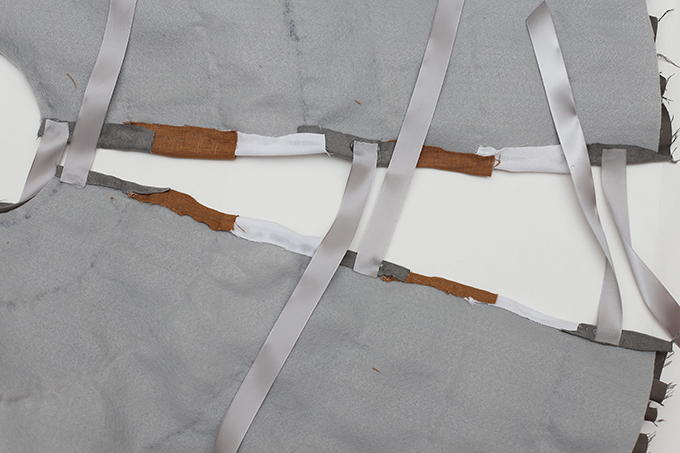 After each row, fold overhanging strip edges to back of slit and glue to secure in place. TIP: If desired, use disappearing ink pen and measuring tape to measure and mark placement of each row (my strips were each 3” apart). 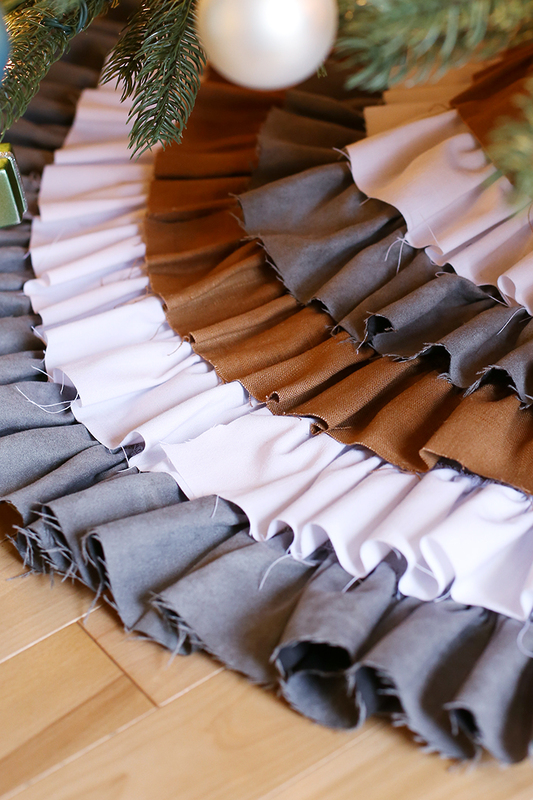 Once all rows have been attached, cut 6 12” pieces of ribbon. 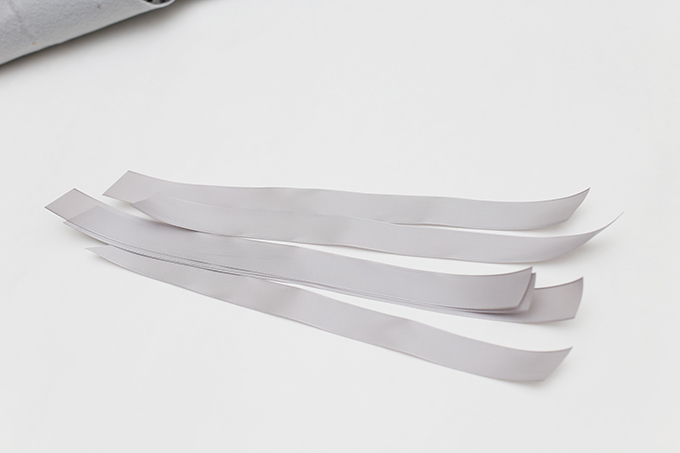 Optional: use lighter or match to carefully seal one end of each ribbon piece to protect it from fraying. 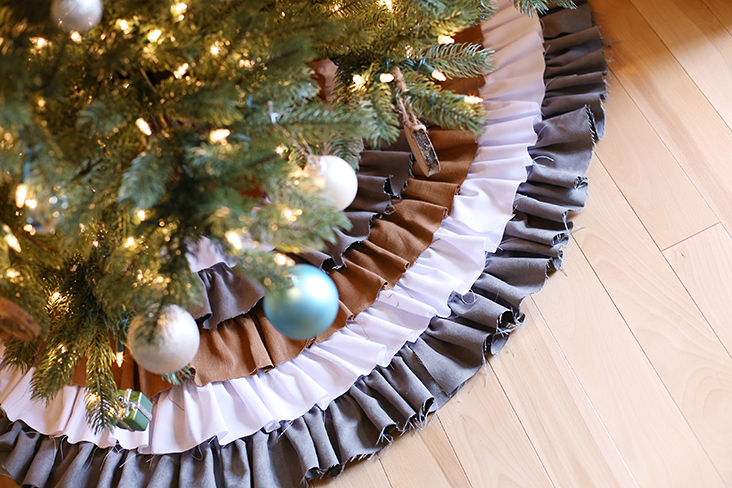 Glue ribbon to back of tree skirt along slit edges, spacing evenly on each side.